At St. Mark’s, we celebrate that all children are different and achieve in different ways. We believe that all children have an amazing amount to offer and we encourage children to learn from each other. 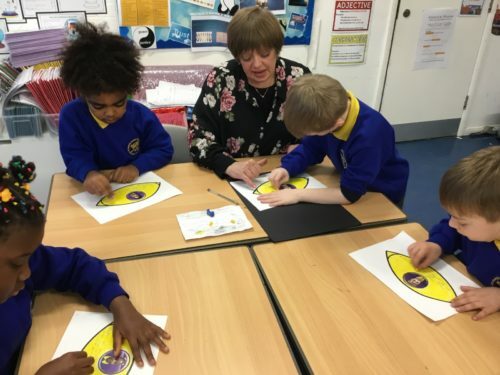 We have high expectations of all children, including children with SEND and we recognise that success comes in lots of different forms; we value creativity alongside academic success. We always aim to give the children the support that they need to be successful, also recognising that some children need emotional support alongside academic support. We want all of our children to be happy and confident; to achieve their best and to become the positive role model citizens of the future. We have lots of different ways of supporting your child both in and out of the class. Please see in the School Information Report for details. Please talk to your child’s Class Teacher or Sarah Bearfoot the SENDCO if you have any concerns about your child’s learning, social skills or general well-being. Please click the link below to see our School’s SEND Information Report. Here you can find out all about our school’s SEND offer as well as the local authority’s offer. We hope you find this document extremely useful.